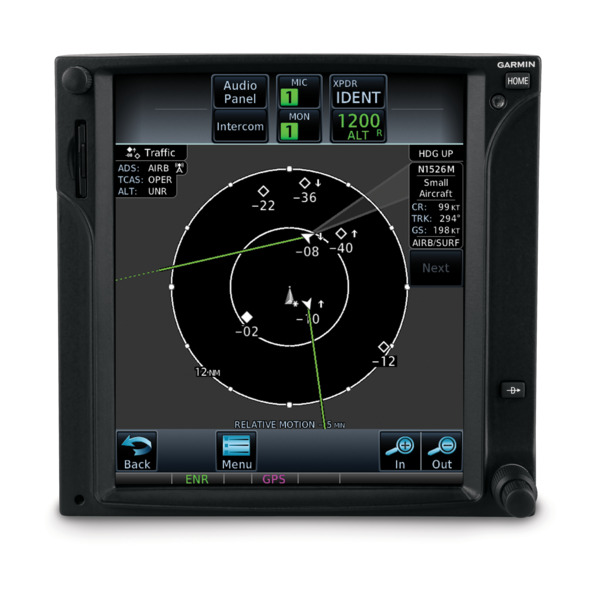 With its centralized, touch-controlled screen providing easy access to navigation, radio tuning, multifunction display features and more, our GTN 725 navigator offers complete GPS/MFD capability in a robust, single solution. 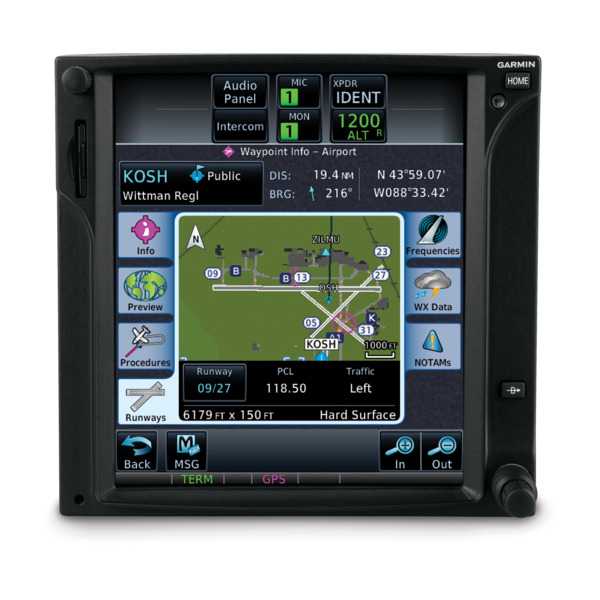 It’s approved for installation in hundreds of makes and models of fixed-wing aircraft and helicopters — putting high-resolution terrain mapping, graphical flight planning, georeferenced charting, traffic target surveillance, multiple weather options, taxiway diagrams and a host of other advanced navigation features at your fingertips. 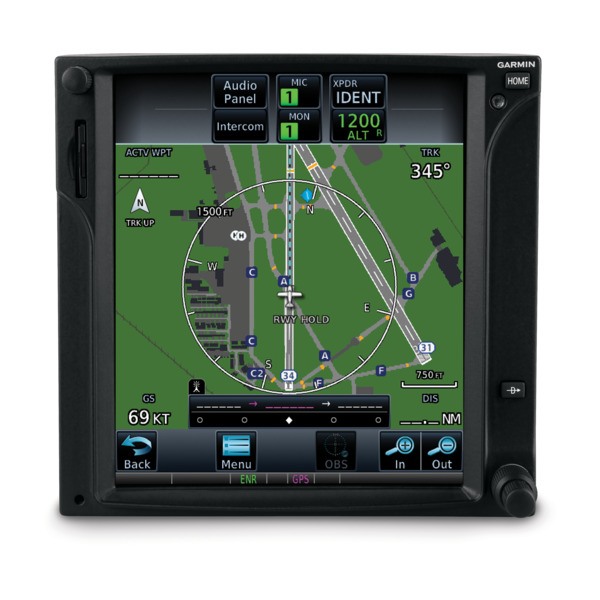 To further streamline your cockpit management, GTN 725 integrates with other Garmin avionics to add exclusive industry-leading technologies such as Telligence™ voice command and Connext wireless cockpit connectivity to support data streaming between your avionics and the Garmin Pilot™, ForeFlight and FltPlan Go apps running on your iPad® tablet or another compatible mobile device. Any way you look at it, GTN technology is the logical choice for your avionics stack. If you’ve flown with our earlier-generation GNS™ 430 and GNS 530 series avionics, you’ll find the menus of GTN 725 have a familiar layout and feel. But with the GTN 725 touchscreen interface, you’re rarely more than 2 taps away from all of the system’s primary functions. The large, easy-to-use alphanumeric keypad makes data entry a breeze. Pilot-selectable data fields and shortcuts let you quickly reach the information you need to access most. Much like pinch-to-zoom scaling on a smartphone or tablet, you can use your fingers to zoom in and out on any map, traffic and terrain pages. 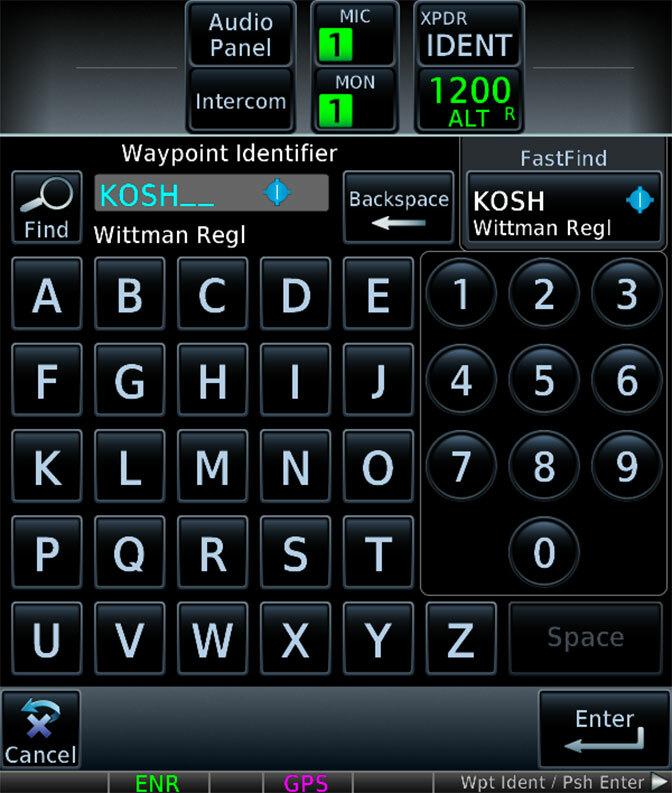 You can quickly pan across the moving map by swiping across the 6.9” high-resolution display or enter waypoint data with the full on-screen keyboard. 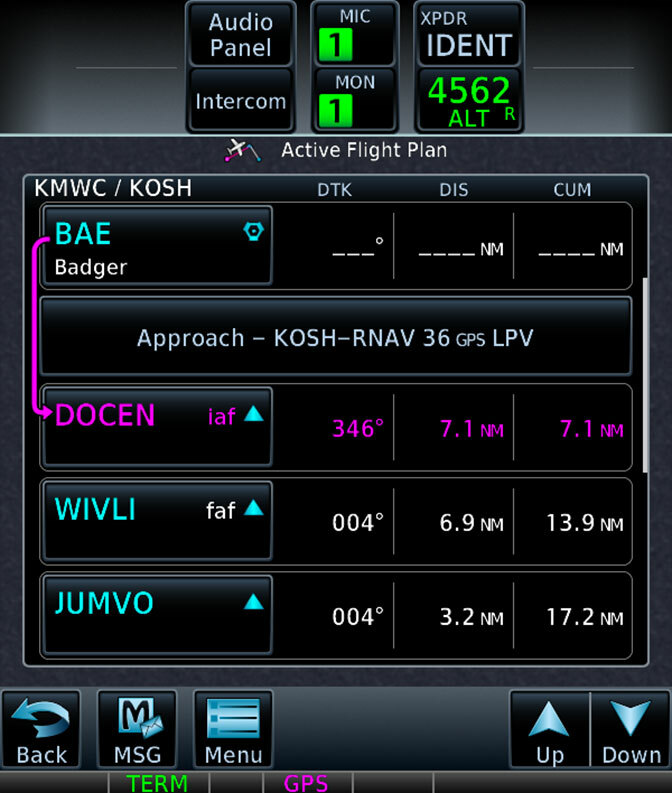 With the GTN 725 system, it’s easier than ever to build and modify your flight plan. As you enter waypoints, our FastFind feature automatically begins searching for the nearest identifier as soon as you start typing — so in most situations a press or two reveals just what you were thinking. The system even lets you load Victor airways and high-altitude jet routes by conveniently displaying the airway segments available from a waypoint and the corresponding exit options. Graphical flight planning capabilities allow you to preview your entire route on the map, and the handy "rubber band" feature lets you grab any leg of your route and move it to accommodate amendments to your flight plan. A dedicated Direct-to key on the GTN 725 bezel allows a direct GPS course to be entered for any selected waypoint. It also provides a quick menu of nearest airports and flight plan waypoints for instant entry. 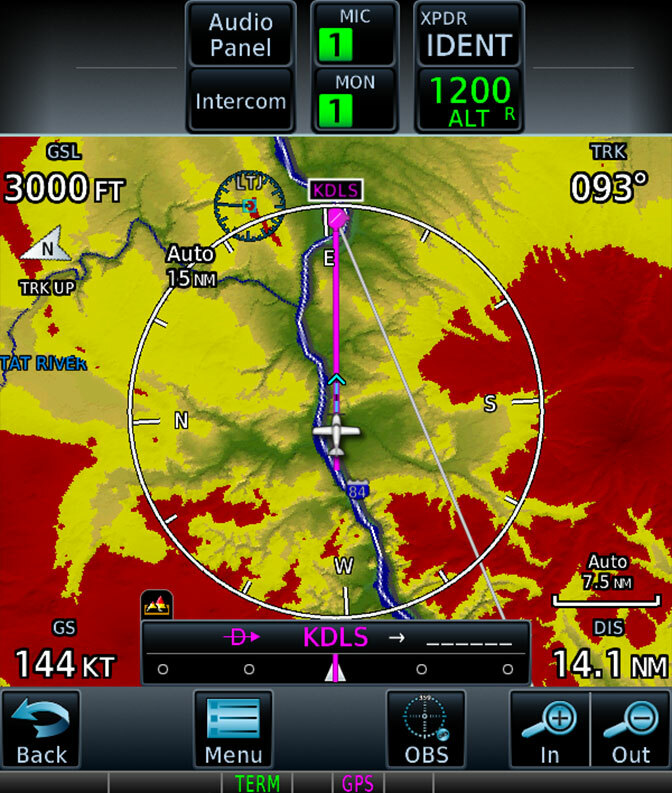 With high-resolution terrain mapping — including topography features, cities, airports, terminal areas, SUAs and more, plus optional Class A or B TAWS alerting — you’ll confidently find your way around the sectional-like airspace depiction, with convenient altitude limits right on the moving map. 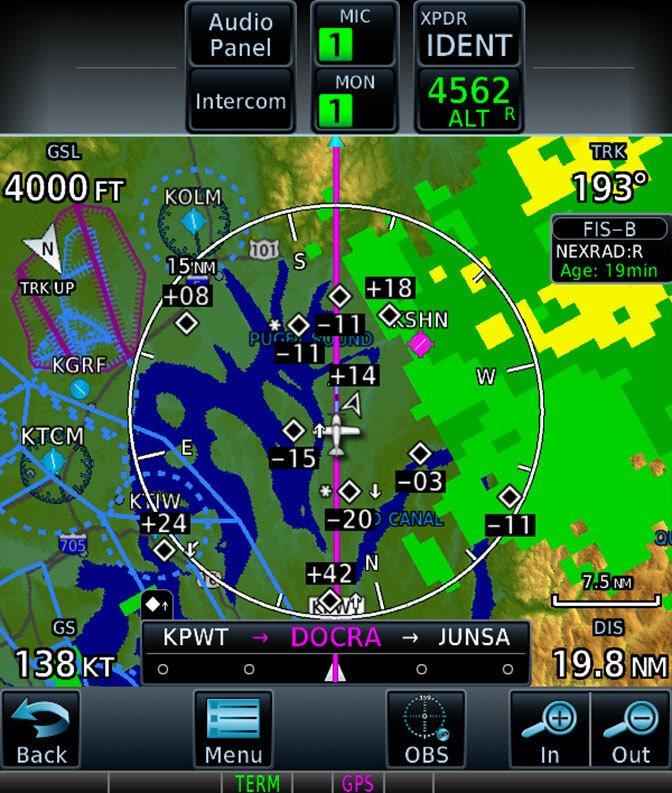 The Smart Airspace™ feature automatically highlights airspace close to your current altitude and de-emphasizes airspace away from the current altitude. The FliteCharts® database or optional Jeppesen® ChartView™ service provide you with georeferenced approach plates and procedures, while our SafeTaxi® database overlays runways, taxiways, FBOs and hangars on the moving map. 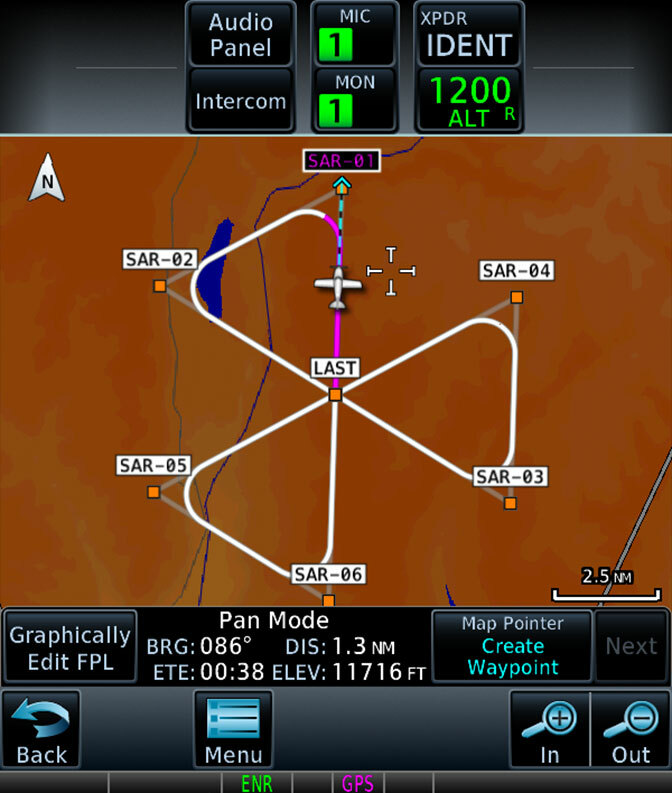 In addition, GTN 725 lets you create and execute custom holding patterns over an existing waypoint or user-defined waypoint. This same technology can simplify search and rescue operations with the optional ability to add common search pattern types into the flight plan. This includes Orbit Search, Parallel Line Search, Expanding Square and Sector Search patterns. When operating in VFR conditions, GTN 725 can also provide advisory vertical approach guidance based on a published glidepath angle or a three-degree approach glideslope from the runway threshold, while considering terrain and obstacle clearance. With this advisory guidance, you’re able to fly more consistent and more precise vertical glidepaths into a variety of airfields. 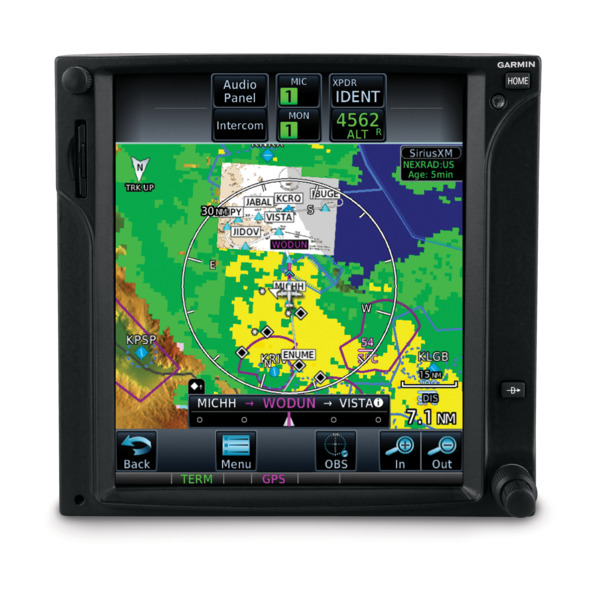 Available dual-link Garmin ADS-B equipage solutions, such as our GTX™ 345 series transponders or GDL® 88 universal access transceivers, allow GTN 725 to display up to 60 ADS-B traffic targets as well as subscription-free ADS-B weather data in the U.S. The ADS-B weather link provides in-flight access to animated NEXRAD imagery, METARs, TAFs, winds and temperatures aloft, PIREPs, NOTAMs and more. On the traffic side, both visual and audio alerts help you recognize and avoid potential conflicts in busy airspace. Our patented TargetTrend™ relative motion technology offers a faster, more intuitive way to judge the direction and closure rate of intruding targets in relation to your aircraft’s position. And for even more advanced traffic surveillance in high-density airspace, GTN 725 can integrate with select TAS or TCAS systems, including our GTS™ family of traffic surveillance products. You can couple the GTN 725 system with a GDL 69 series datalink receiver to bring even more safety-enhancing (and enjoyment-enhancing) capabilities to your aircraft. With this arrangement, you’re able to receive SiriusXM® satellite weather and audio entertainment3. 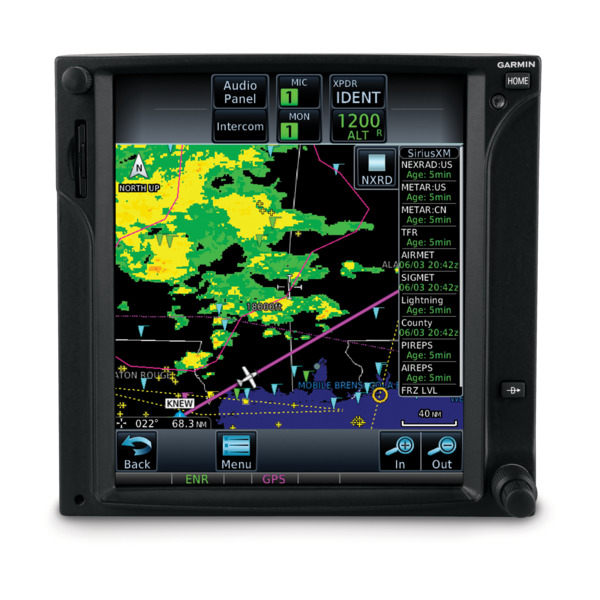 There’s also an optional GSR 56 receiver that can provide Worldwide Weather data virtually anywhere on the globe, as well as the ability to make and receive phone calls and send and receive text messages while in the air3. To help you better understand weather trends, all of the NEXRAD graphical datalink weather options are animated. 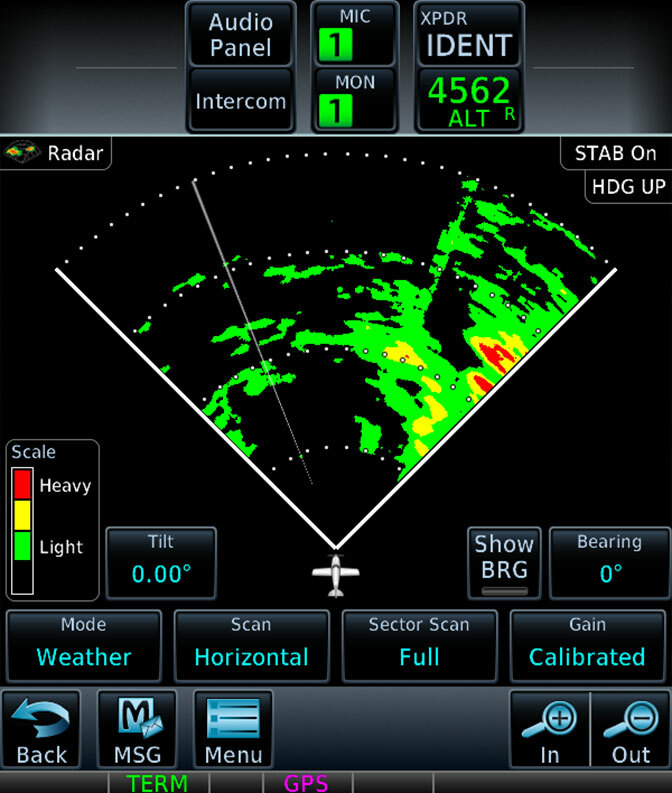 You can also collect and display your own weather data with an onboard weather radar — such as the solid-state and Doppler-capable GWX™ 75 with its optional turbulence detection and ground clutter suppression features or a wide range of other third-party systems. By pairing your GTN 725 with one of our GMA™ 35 or GMA 350 series audio panels, you can do even more to enhance and uncomplicate your cockpit communications. With available Bluetooth® wireless connectivity built in, these digital audio systems can be used with your smartphone (or other compatible devices) to make phone calls or stream audio entertainment through your cabin headsets or speakers. 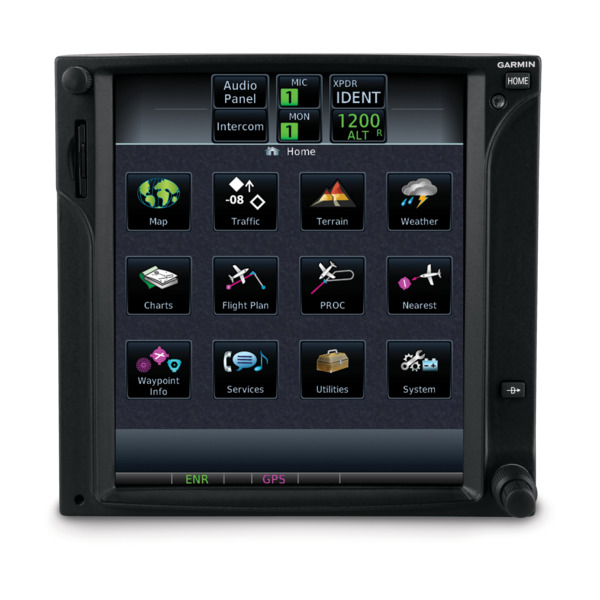 In addition, the remote-mount GMA 35 versions enable your GTN 725 touchscreen to double as the control panel for your audio system, providing intuitive audio menus while saving vital space in your avionics stack. For even more capability, you can opt for our Flight Stream 510 to further enhance the Connext experience. This patented multimedia card contains Wi-Fi® and Bluetooth connectivity and installs in the memory card slot of your GTN 725 to provide flight plan transfer, traffic, weather, GPS information and more — plus our Database Concierge database transfer and management capabilities. 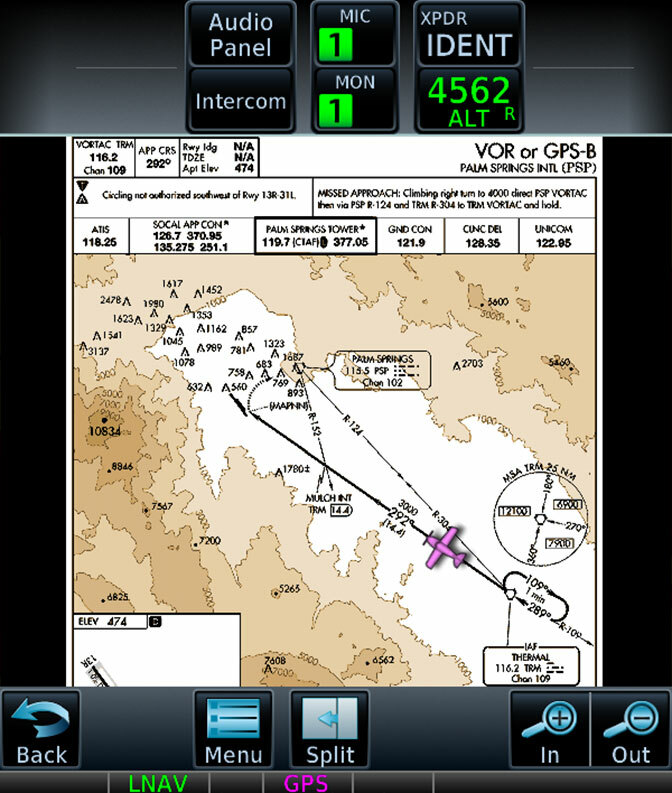 At home you can download selected databases onto your mobile device, using the Garmin Pilot app. 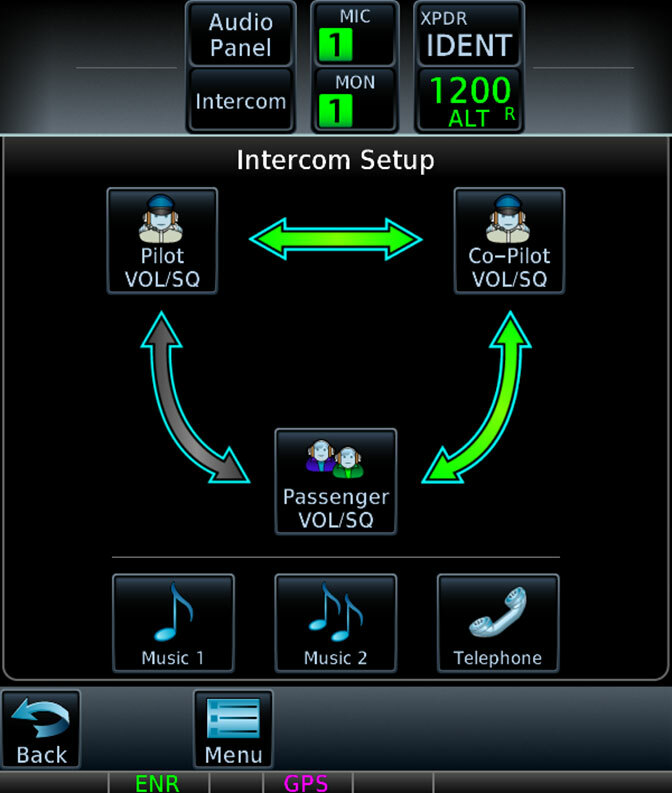 Then, once you get to the airport, Flight Stream 510 will automatically establish a wireless connection to the Garmin Pilot app and upload the databases from your device to your GTN in minutes. GTN then automatically transfers and synchronizes your databases to G500/G600 and TXi series flight displays as well as other GTN systems behind the scenes.